Murray made 14 appearances for Cork in the 2012 season. CORK DEFENDER KEVIN Murray has signed a new deal with the club. The 29-year-old struggled with injury at the start of the 2012 season, but recovered to make 14 appearances for the club. 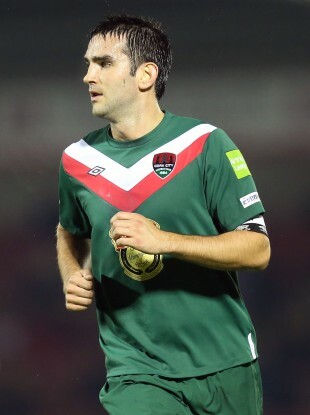 In addition, it has been announced that Aaron Greene has re-signed for Sligo, following a spell with Shamrock Rovers. Sligo manager Ian Baraclough said he believes Greene can be a valuable asset to the club. “It is a pleasing signing and a great addition to the squad. “Aaron brings a lot of quality and despite being only 22-years-old, he has considerable experience already and a determination to develop his career with Sligo Rovers. Finally, Shamrock Rovers have secured the services of defender Derek Foran. Email “Updated: Murray extends deal with Cork, Greene signs for Sligo, Rovers tie up deal with Foran”. Feedback on “Updated: Murray extends deal with Cork, Greene signs for Sligo, Rovers tie up deal with Foran”.